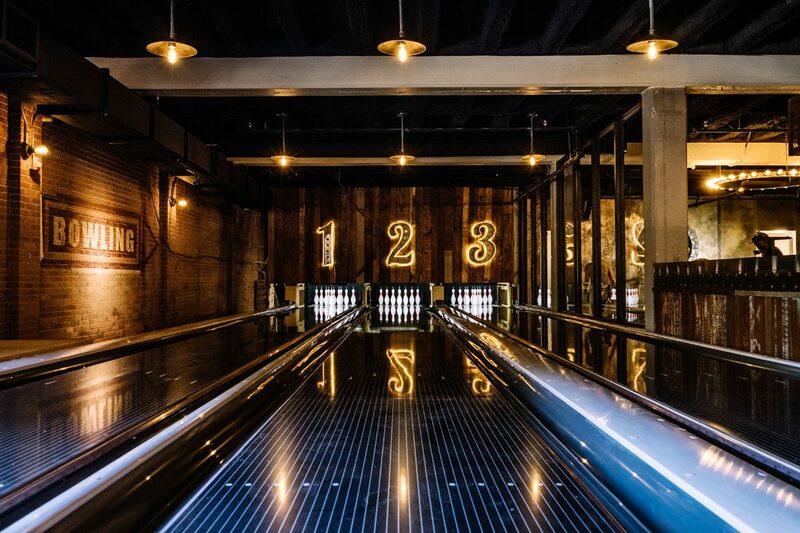 Located directly next to Revel is our sister company Stone Pin Company, a boutique bowling alley with 6 bowling lanes, a bar and dining areas serving amazing food, beer and premium cocktails. It’s the perfect space to host a rehearsal dinner, wedding after party, corporate event, and everything in between! For more information on packing Stone Pin with a Revel booking contact our team today at info@reveleventcenter.com or visit our website at www.stonepin.com. © 2015 – 2019 Revel Event Center All rights reserved.